Mrs. Betty Jane Flowers, 77, of Pop Flowers Road, Taylorsville, went to her heavenly home on Thursday, April 4, 2019 at Westwood Hills Health & Rehabilitation. Mrs. 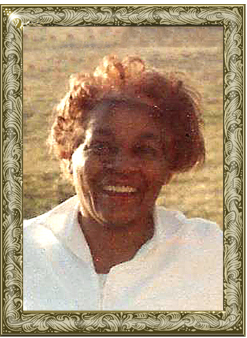 Flowers was born September 10, 1941 in Durham County, the daughter of the late Garnett Barnes and Betty Jane Barnes. She had worked in the finishing department in the furniture industry and was a faithful member of Liberty Grove Baptist Church, where she loved to sing in the choir. She enjoyed the activities with the Senior Center. Betty liked to bake, can and sew quilts, curtains and numerous other items. Including her parents, she was preceded in death by: a sister, Mary Alice Barnes; a brother, Arthur Lee Barnes. Those left to cherish her memory include: her husband of almost 41 years, Frank Flowers of the home and her children and grandchildren. The Home-Going service will be held at 2 p.m., Saturday, April 13, 2019 at Liberty Grove Baptist Church. Eulogist-Rev. Ardeal Roseboro and Officiating-Rev. Elliott Boston and burial will follow in the church cemetery. Memorials may be made to: Medi-Home Care & Hospice. Adams Funeral Home and cremation services is honored to be serving the Flowers Family.